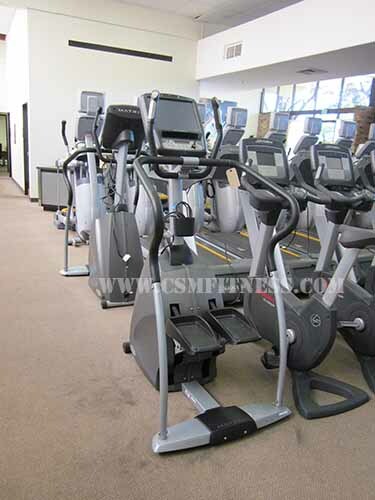 The Matrix S7xe stepper is becoming one of the most popular forms of gym equipment in gyms around the world. They provide an intense challenging and fun total body workout. The Matrix S7xe stepper helps strengthen and tone the muscles of the legs including calves, hamstrings, quads, adductors, and abductors. This stepper has convenient and comfortable handles so you can incorporate upper body movement into your training and target your biceps, triceps, lats and pecs as well. The LCD console gives important feedback such as Time, Distance, Calories, Calories Per Hour, Floors climbed and Heart Rate. There is a wide variety of programs to keep you motivated as you achieve your fitness goals .